A large-hoofed, warm-blooded mammal (Equus caballus). Owning a pony is a very rewarding experience, but it is not for everyone. Be sure to thoroughly research before taking on the responsibility of owning a pony. If you want to learn to ride it is a good idea to take horseback riding lessons. If you enjoy it you may want to consider leasing a pony. There are many barns which will board your pony for you and allow you to come and ride anytime. Some of them will do the majority of the work involved in owning a pony, however this can get pricey. Know the pony you are riding. Ponies spook very easily. Simple things like sticks and forest animals commonly spook ponies. When riding a pony a helmet should be worn at all times. There are two different types of riding, Western and English. Western generally consists of barrel racing, keyhole and pole bending among other events, whereas English generally consists of dressage, jumping, polo, Lacrosse and more. When dressage is preformed it looks like the pony is dancing. The rider is guiding the pony through a series of complex maneuvers by slight movements of the rider's hands, legs and weight. The saddle a Western rider uses is different than the saddle an English rider would use. One key difference is the Western saddle consists of a horn, while the English saddle does not. 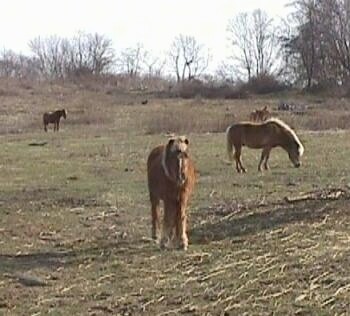 Un-neutered male ponies tend to fight with other ponies. 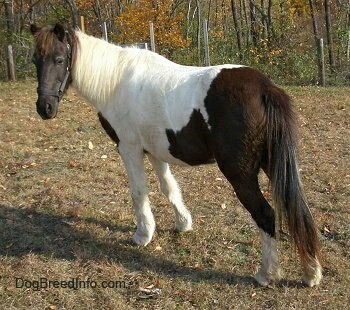 If you plan on keeping a male pony with a herd of other ponies or horses it is a good idea to get it fixed. A normal sized pony is averaged to about 12.2 hands high (hand = 4 in.) Ponies range from about 200 lbs. to 275 lbs. 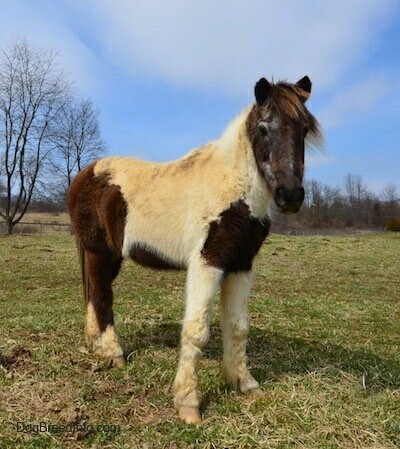 For every pony you need to have at least three acres and an additional acre for every additional pony. The area must be fenced in. 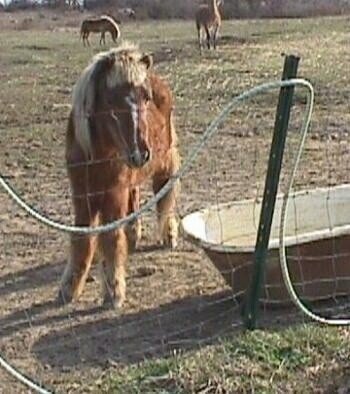 Some use barbed wire or electric fences to secure there ponies. Barbed wire is one of the most dangerous fences to use around ponies. Most ponies wouldn't see the wire because it is too thin for them to see. They can get cut and even caught in it. They need some kind of shelter, at the very least a lean-to to shield them from the wind and rain. Some ponies are hardier and can get away with a lean-to, but some ponies are on schedules and need to be put in a stall for a period of time during the day or night. About every two days, you might need to muck (clean) your ponies’ stall or lean-to. Ponies need daily grooming. This includes: picking their hooves, combing their mane, brushing with a curry comb (hard brush) then a soft brush after to get the loose dirt off, bathing after workouts, and using fly spray. About every three months, some ponies should be seen by a farrier to determine if their hooves need to be shaped. Daily grooming will reduce stress, keep your pony comfortable, healthy and looking great! 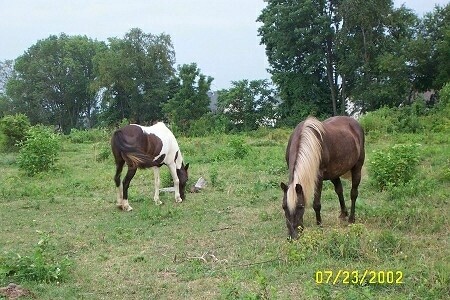 Ponies need hay daily or a field with plenty of grass to graze on. 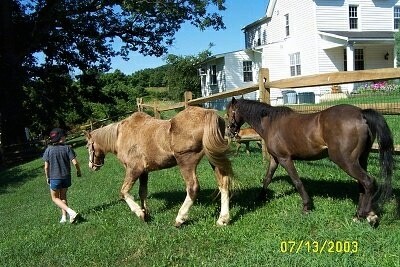 Some ponies require grain, oats, bran, sweet feed and hay pellets. 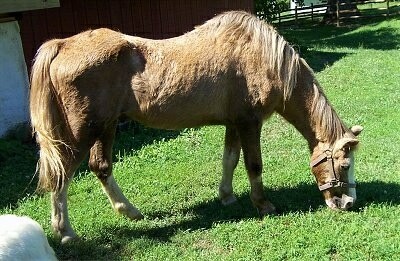 Ponies can eat all the hay they like, however too much grain can cause them to founder. Grain has to be carefully monitored. Ponies drink water and should have it provided at all times when out grazing or when in a stall. Be sure to keep the water clean. 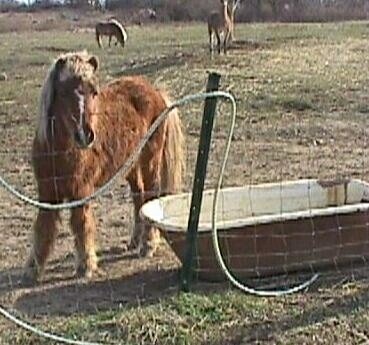 When a pony drinks it often back washes back into the supply. Their water needs to be changed and refilled often. Ponies require daily exercise. They need to have enough land to exercise themselves and most enjoy having a person to ride them. 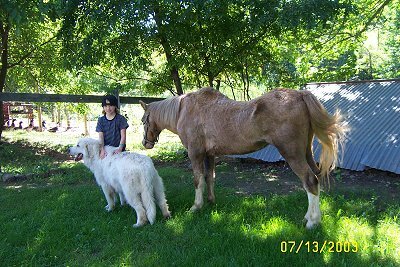 Ponies need companionship, either another pony(s), or some other farm animal. Some owners have been known to use animals such as goats, cows and sheep to keep them company. In general, ponies will not be happy living alone. A healthy pony will live to about 35 or maybe even 40 years old. Some health problems include: colic (a common killer of ponies, which is a bad stomach ache), worms, lameness, tying-up, hoof cracks, dental problems and hoof wall loss. 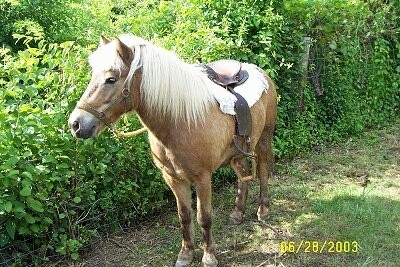 Saddle - A leather seat for a pony rider, secured on an animal's back by a girth. Bridle - A harness, consisting of a headstall, bit, and reins, which fits on a pony’s head and used to restrain or guide the animal. Crop - A short whip used in horseback riding, with a loop at the end. Halter - A device that fits around the head or neck of an animal and is used to lead or secure the animal. Hackamore - A bitless bridle, sometimes used to break a pony into a bridle. Reins - A long narrow leather strap attached to each end of the bit of a bridle and used by a rider or driver to control a pony or other animal. Saddle Pad - A padded blanket that goes between the pony’s back and the saddle to prevent irritation. Bit -The metal mouthpiece of a bridle, serving to control and direct an animal. Stirrups - A device where the rider puts their foot hung from either side of a pony’s saddle to support the rider's foot in mounting and riding. 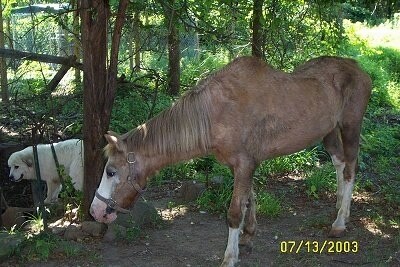 Gelding - A neutered male pony. Stallion - An intact (un-neutered) male pony. 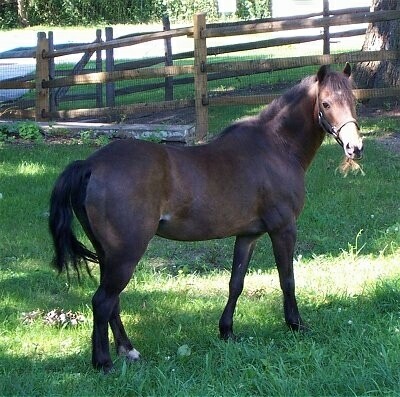 Mare - A female pony. Foal - A baby pony. 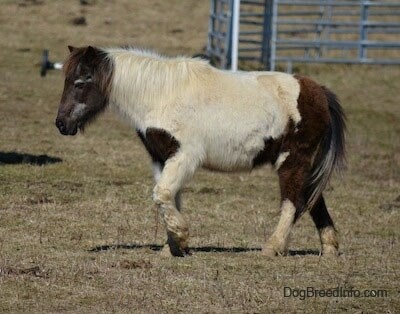 Filly - A female baby pony. Colt - A male baby pony.